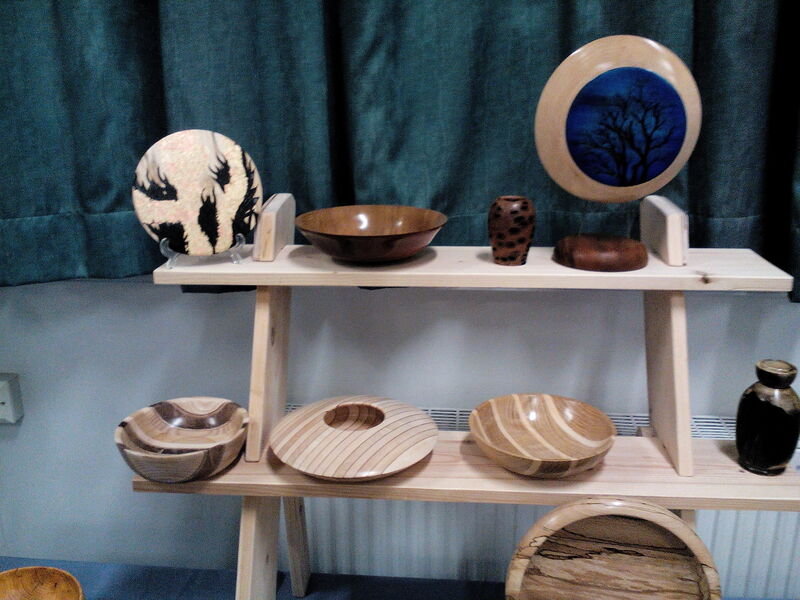 Welcome to the website of the Black Country Wood Turners ( BCW ). We are a friendly bunch of people , who have nothing better to do with their time than to reduce otherwise perfectly fine pieces of timber to piles of shavings and sawdust on our workshop floors. Oh, yes, and every now and then this also results in something mostly round and brown. If this is your idea of having fun, then please joins us on one of our meetings or as a permanent member. If by now you are thinking “this is weird”, then you are missing out on the rituals of a tradition that is several thousand years old and you are definitely in the wrong place. We are having fun. Are you? Do you live in the UK near Dudley, West Bromwich, Oldbury, Halesowen, Stourbridge, Kidderminster? We meet usually every 3rd Thursday of the Month at 6pm at Dudley College, The Broadway DY1 4AS room F1, and we would be more than happy to welcome you to our next meeting. GDPR: If you are concerned over or interested in knowing how we protect our members data, follow this link. 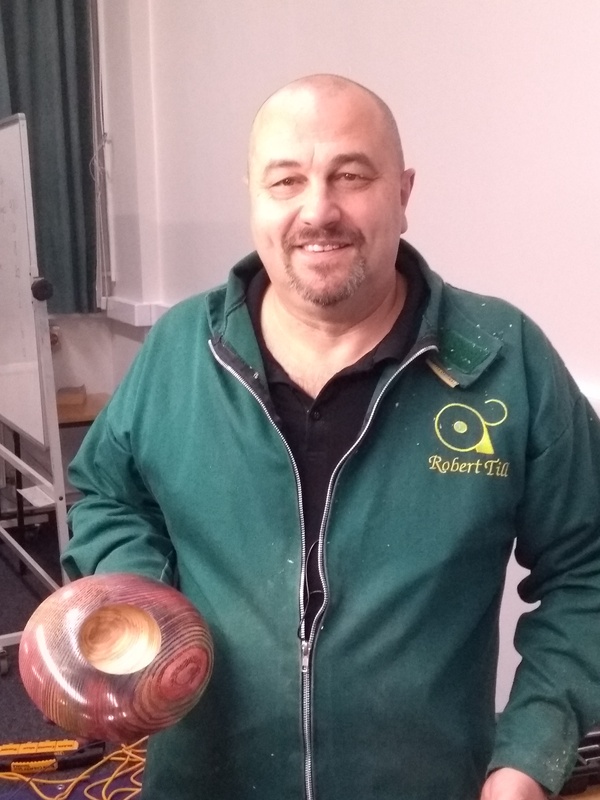 The next club meeting of 2019 is a demo by professional turner, Keith Fenton, on 18th April, start at 6 pm. 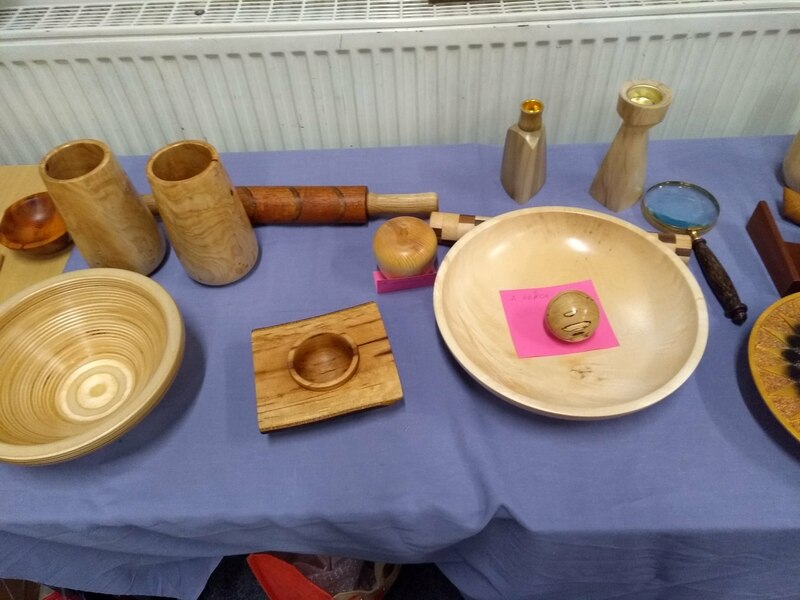 The club will have a demo lathe, sale and display stall at The Mary Stevens Hospice coffee morning, 221 Hagley Road, Oldswinford, Stourbridge, DY8 2JR, on Saturday 20th April. 10am to 2pm. No parking on site! 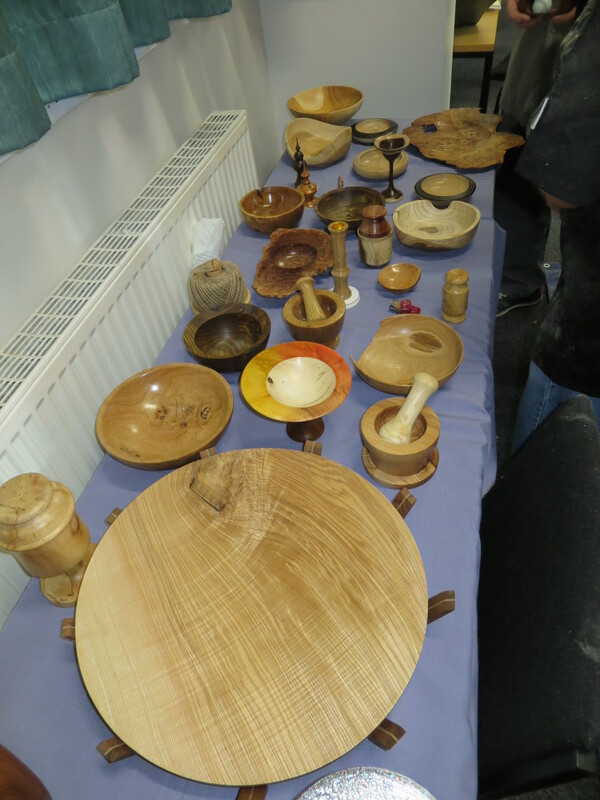 This was the first all-day event that Blackcountry Woodturners have hosted for the past several years. The aims of the day were to provide some well-earned entertainment for our current members, provide an opportunity to invite woodturners from other West Midlands Clubs, and with the aid of local media publicise Blackcountry Woodturners to the general public. This gave likeminded people the opportunity to visit and view the day’s events, talk to current members, and see what we as a club are all about. 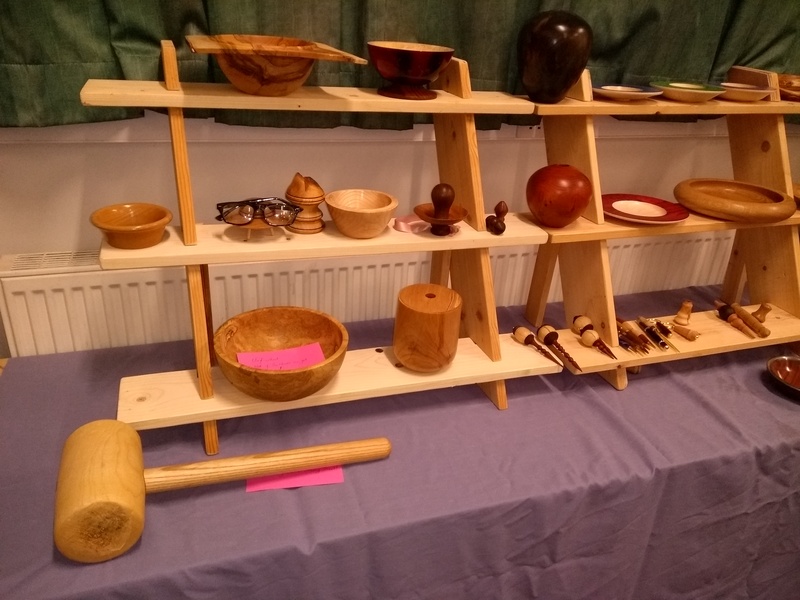 There was also the opportunity for club members to buy and sell their unwanted / unused second hand tools, purchase project wood, and bring in some of their own work to display, and refreshments were provided to all who attended during the day. 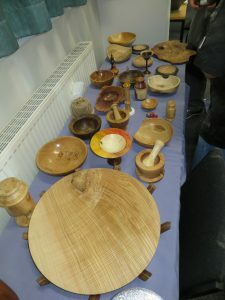 The club had secured the services of professional Woodturner Paul Hannaby from Gloucestershire, Paul agreed to complete three different types of projects throughout the day, ranging from basic through to advanced woodturning techniques. 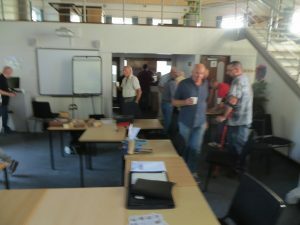 It started at 8am with early bird members arriving to set the rooms out for the day’s events, the main body of people began to arrive just after 9am, first job of the day was a hot drink, biscuit and general chat. 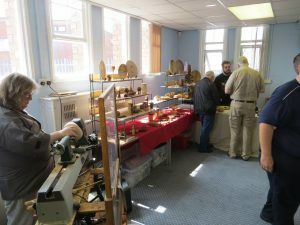 The tool sales started in earnest along with the wood project sales. 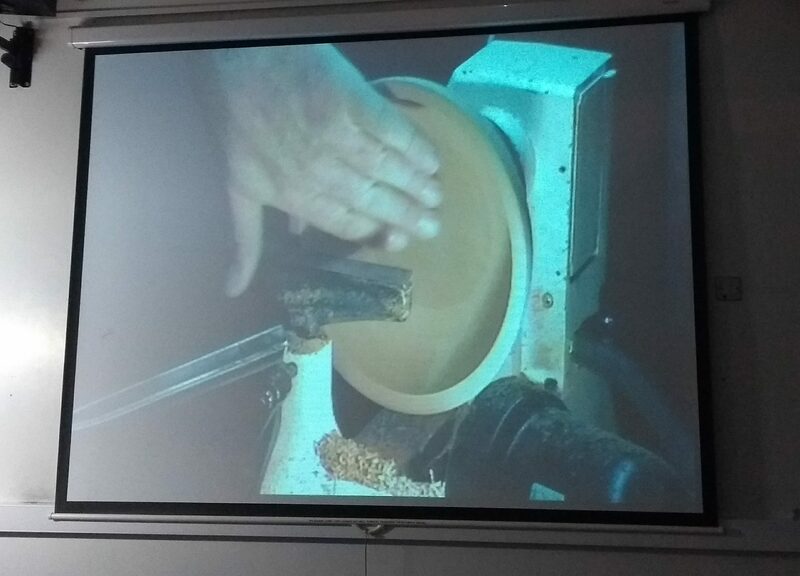 The first project , bowl turning techniques commenced at 9.45am. Paul explaining how not only to approach such projects but also design considerations, lathe mounting techniques, tool and cutting techniques plus ways to finish the project dependant on use to which it was to be put. 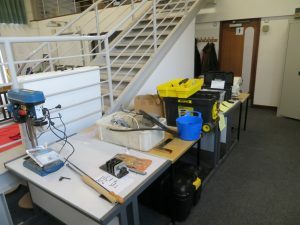 On completion we all took a 15 minute well-earned refreshment break then at 11.30am Paul began project 2, Box making with texturing and colouring instruction. Paul began by demonstrating a number of market available texturing tools, how to use them and varying types of effect that each are capable of achieving, he also demonstrated various ways of colour embellishing the patterns to bring out best effect. Paul then went on to produce a small decorative oriental lidded box. At 1pm we had a 40 minute break for lunch, socialising, raffle draw and more purchasing of tools and wood. 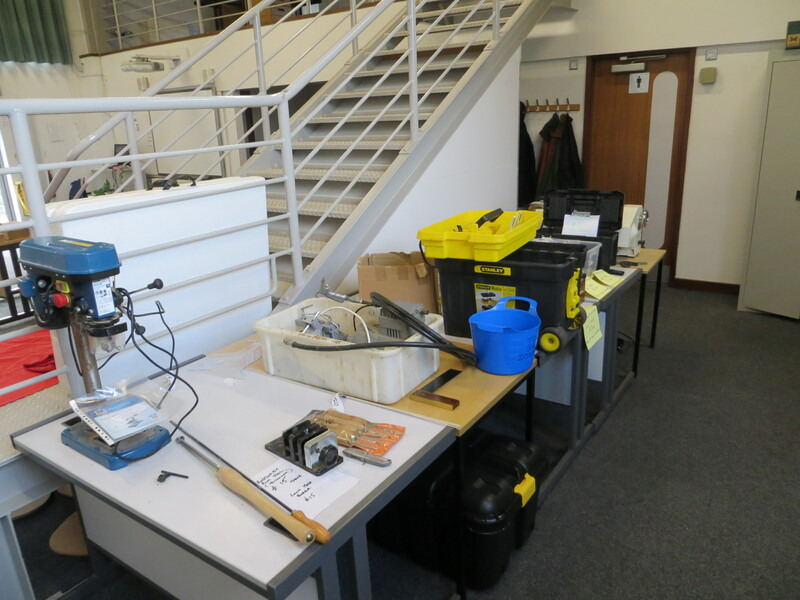 The event concluded at around 4.30pm with everyone going home having enjoyed their day, learned a little or lot as the case maybe and hopefully inspired to have a go at new projects. A big thank you must go to all the club members who brought in their own pieces of work to make up a fantastic display for all to see, providing project inspiration for us all. On Thursday last week we had Robert Till as our demonstrator. 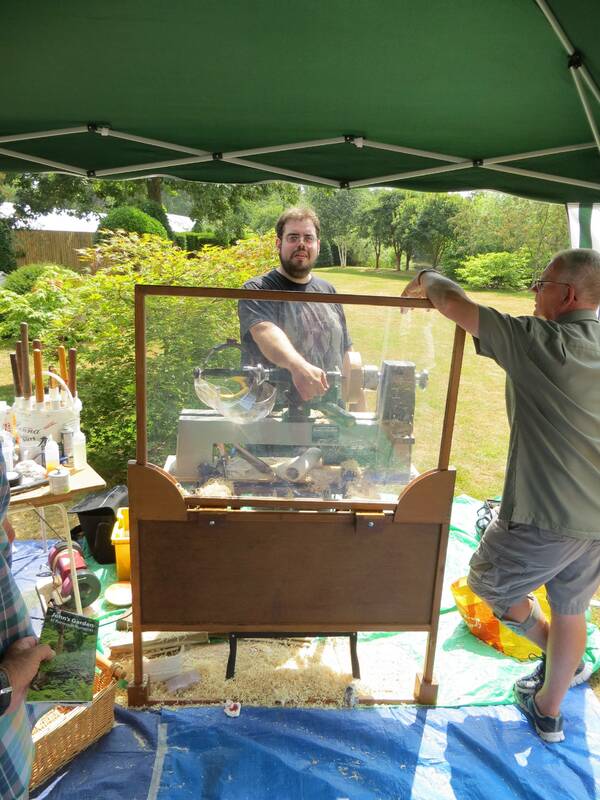 He has done a demo before, at our old venue, where he showed us how to make a turned bird’s house. This time he demonstrated his rocking bowls. 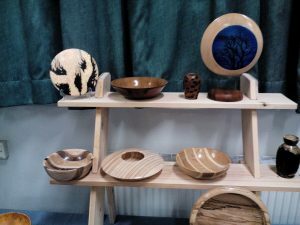 They are mostly made from ash or oak, as the open grain in these timbers allows for the kind of surface decoration he is aiming for. 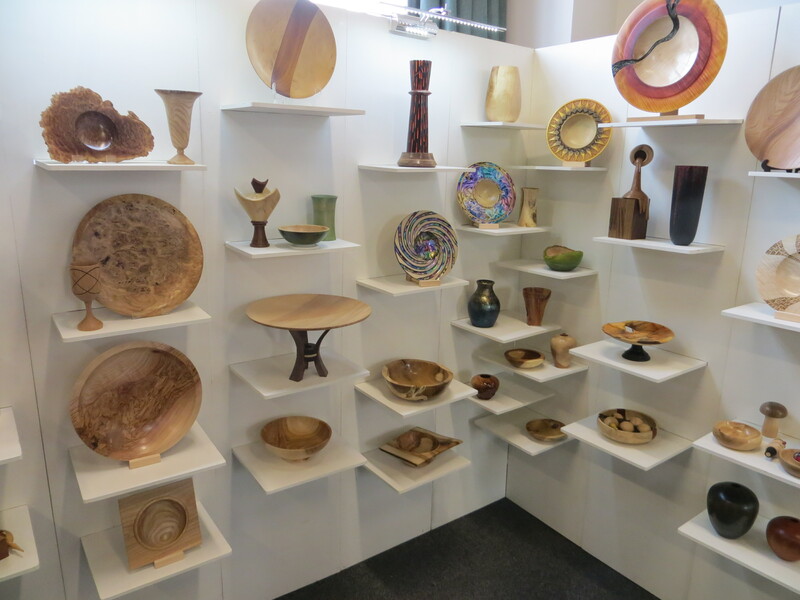 It all starts out with a blank about 8″ in diameter and 3″ thick. A drill provides a hole for the screw chuck and, once mounted, the out side is squared off, both on the flat underside and the rim. 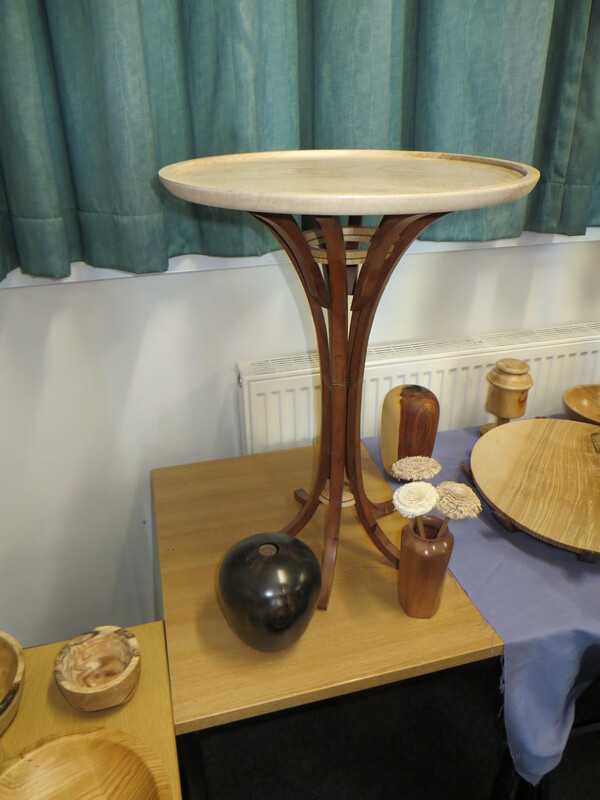 A centre mark is made on the rim to ensure the final bowl has equal curves on top and bottom (although I suspect this could easily be altered for variations of the form), and then the underside is turned into a gentle curve towards that mark. This curve must always allow for a small, but precise tenon. 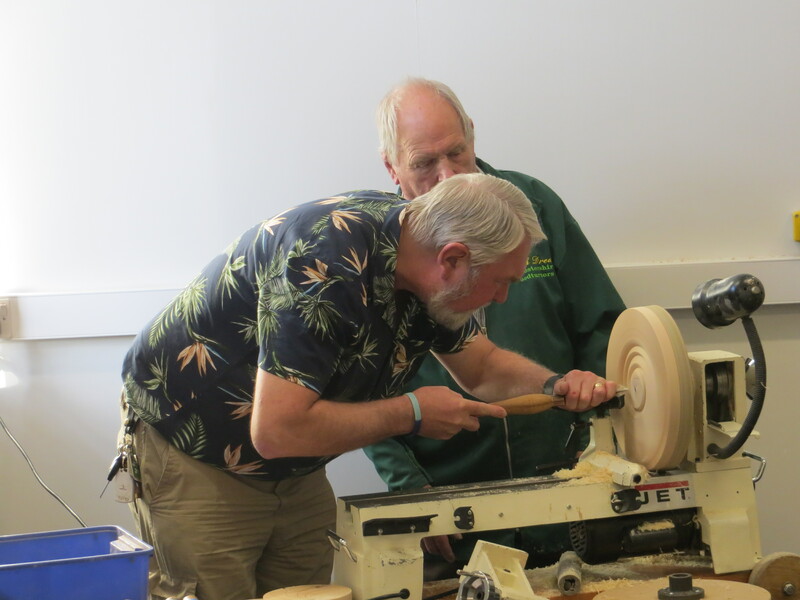 Robert demonstrated using pull cuts for the shaping, and then putting the handle right down and closing the flute on his bowl gouge to perform a very gentle shear scrape. In this manner he gets a surface that needs very little sanding. The bowl is then reversed into the chuck, and a similar curve is applied to the top. 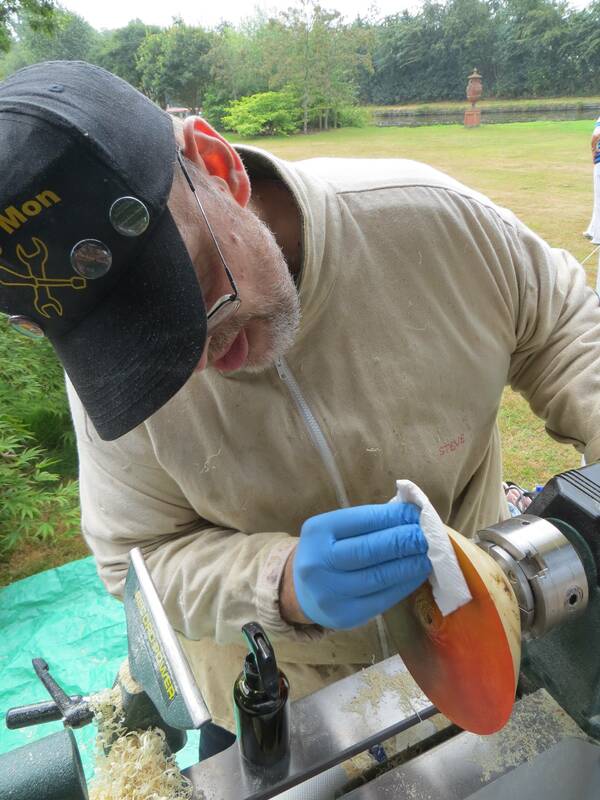 For the sanding he uses Rhinogrip, and he always makes sure to only ever use any particular spot on the sanding paper once, folding away used pieces as he goes along. 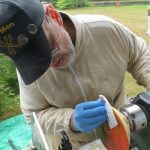 His surfaces are sanded to 600 or 1000 grit. He then showed two different methods of finishing the top. For the first method, he applied a thin film of Chestnut ebonizing lacquer to provide a simple black surface. 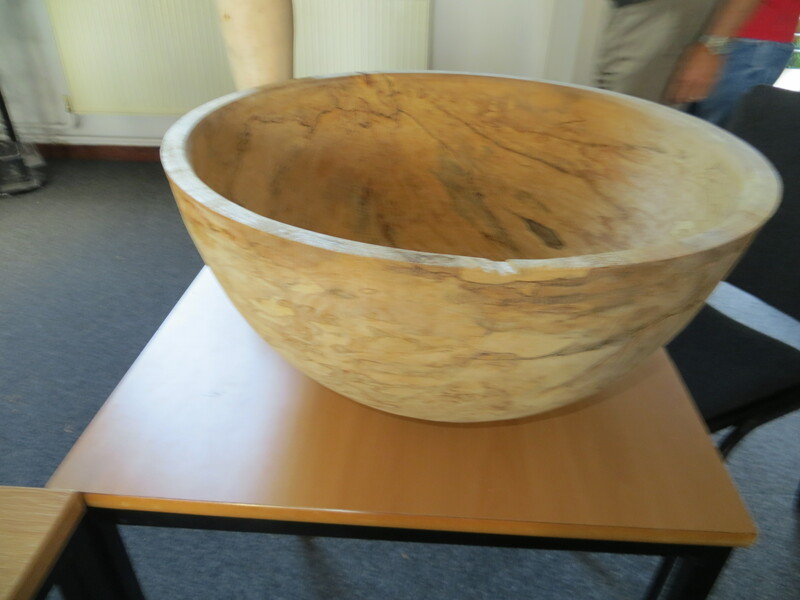 On top of this is then applied some gilt cream, also from Chestnut, which is rubbed well into the surface and in particular into the grooves left by the annual growth rings. Once the entire surface has been covered, a paper cloth and some finishing oil are used to remove any excess, leaving behind only the cream in the recesses, and thereby dramatically enhancing the figure of the wood. This is left to dry, and the final finish are up to a dozen layers of finishing oil, applied one coat per day (or slower). Once the wood has been saturated with oil, it starts to build up a nice coat on top, which does not need buffing. The second method of decoration was done with the coloured spirit stains from Chestnut. 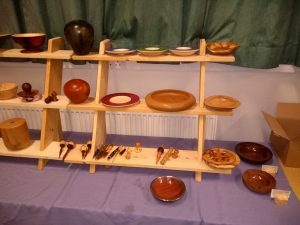 He first rubbed the entire surface with a purple colour, and then carefully sanded that back until most of the high points were left in natural again, and only the grain recesses showed colour. 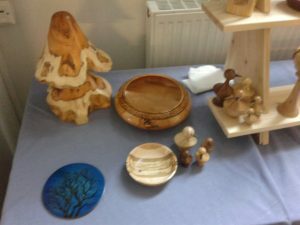 He then used paper cloth to apply dabs of colour in a pattern to enhance any natural features of the wood, and finally blended them all together with finishing oil. A very instructive demo aimed at mid-level turners, and well delivered. 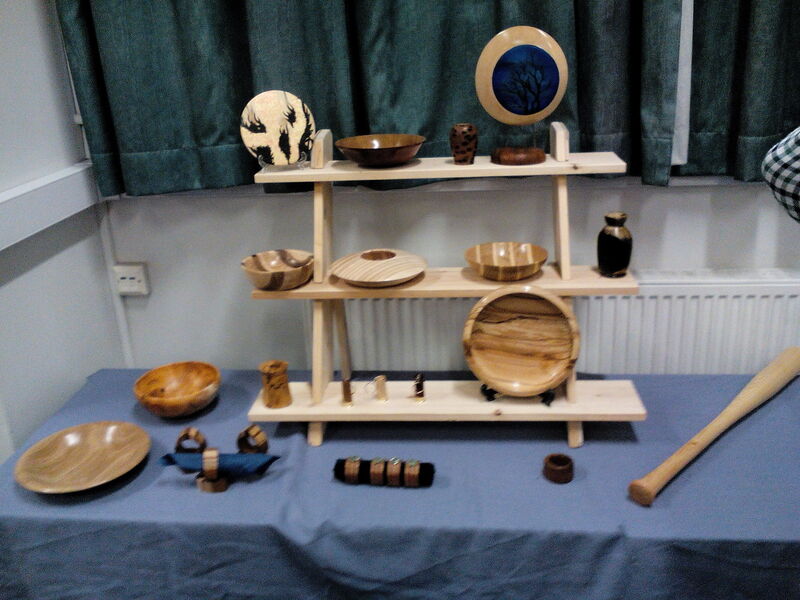 Our display table was well stocked, and we had 26 members and one visitor in attendance. 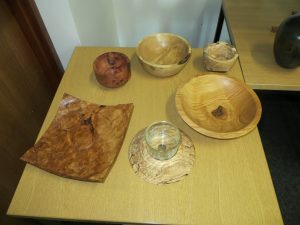 Augusts meeting was another hands on event, we had the welcome return of Keith Drew to the club who had been persuaded to come and demonstrate the technique of making a shell pattern form. Keith picked this technique up from a demonstration he attended some time ago, and over time has developed his own way of completing the project, the very simple explanation being that the blank is set up inside a pre made and marked up template, this is then used on centre to make the central decoration then off set against the pre-determined marks to form the final shell like fin decoration. The final product looks great when all finished, and can be utilised as an ornament on it’s own, or incorperated into another project, it is quite a complex piece and provides a challenge to the more advanced turner. 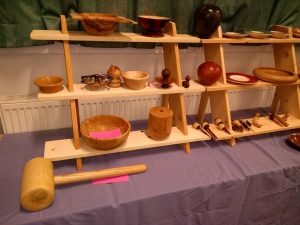 Keith set up his demo, showed us the way it should be done then under Keith’s Guidance several members had a go, definitely more tricky than Keith made it look, this was a very interesting first half to the evening, something unusual and much enjoyed by those in attendance. We would all like to thank Keith for giving up his time to educate us all. 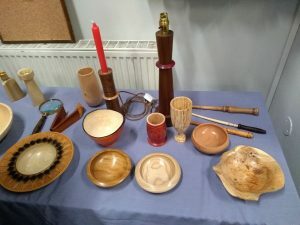 The evening then provided additional inputs from Wolfgang on the lathe Goblet Turning, and by Bob Mercer showing us all the correct way to strip and clean a chuck……. 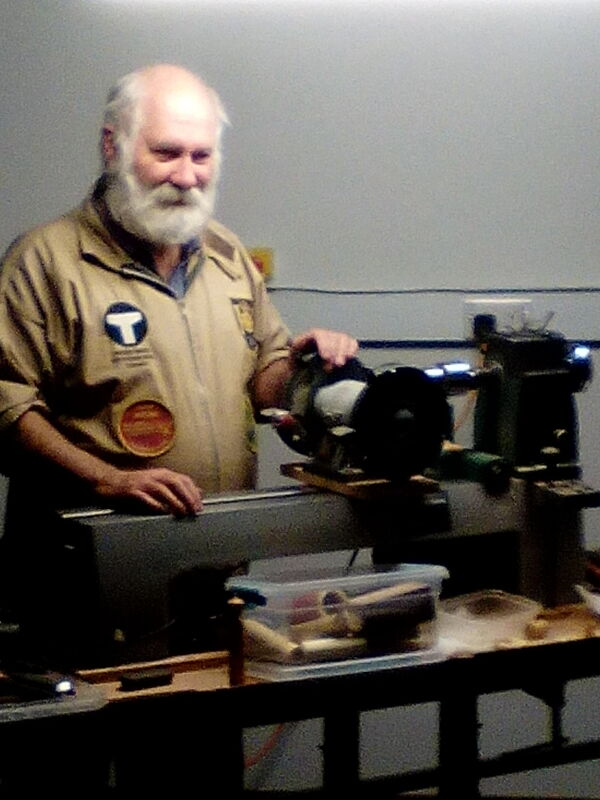 The July monthly meeting was another hands on event, there were 4 lathes for use by members in attendance. 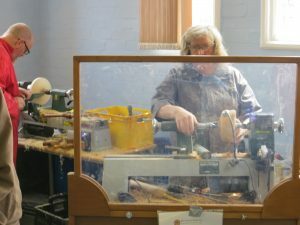 The technique was demonstrated on lathe 2 by Steve Hacket creating some good interaction by the watching members. 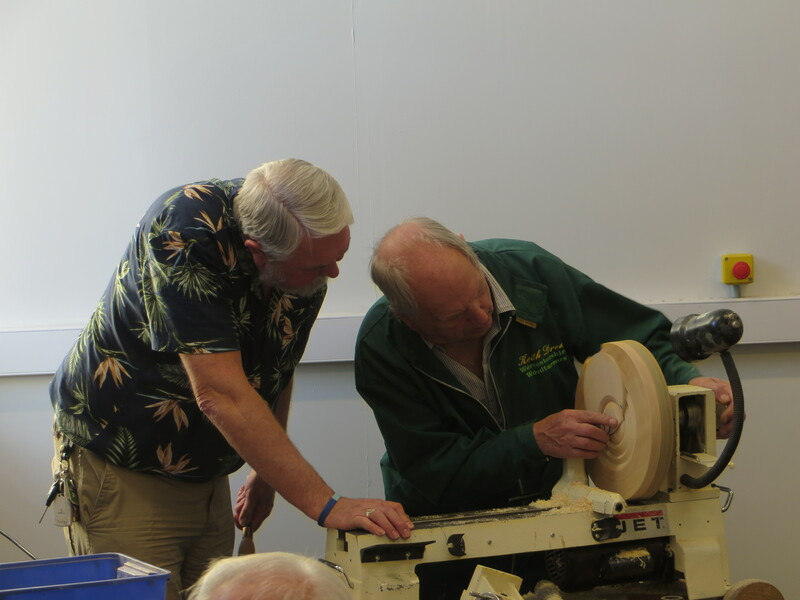 Roger Cheshire and Bob Mercer on Lathes 3 & 4 then had a go at the same method, in discussion with members going through the process step by step. 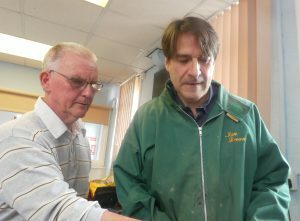 Roger using the same style as demonstrated by Steve , with Bob re visiting the technique and experimented with a slightly different approach to the bead method in discussion with members during the process. Wolfgang demonstrated on lathe 1, off centre spindle turning, on how to make a club foot leg, using another style of off centre method to create the project. 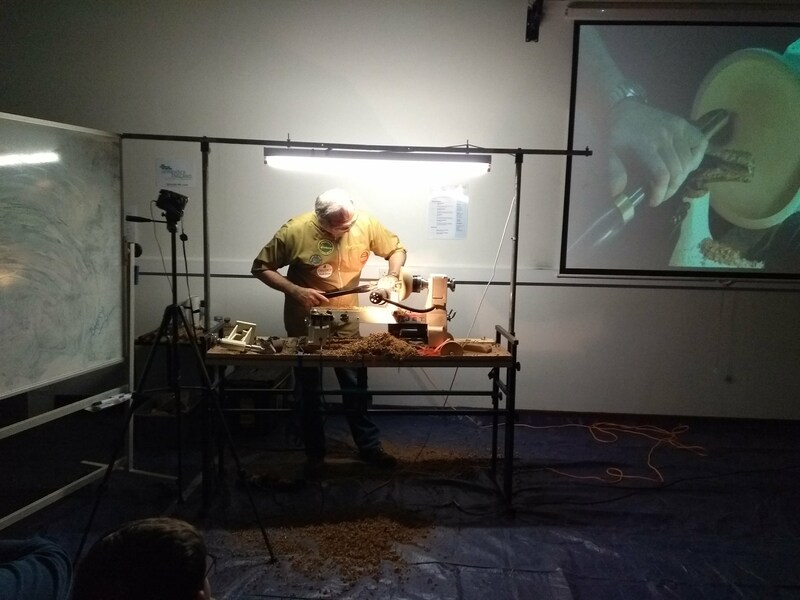 Due to time constraints he could not quite finish the whole project before the end of the evening but he clearly demonstrated to watching members the technique, for them to have a go at in their own workshops. 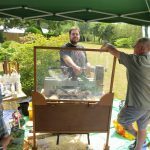 Again another very full evening that just flashed by fully enjoyed by all present…..
Saturday 14th July 2018 Ashwood Nurseries – Open Garden Day. 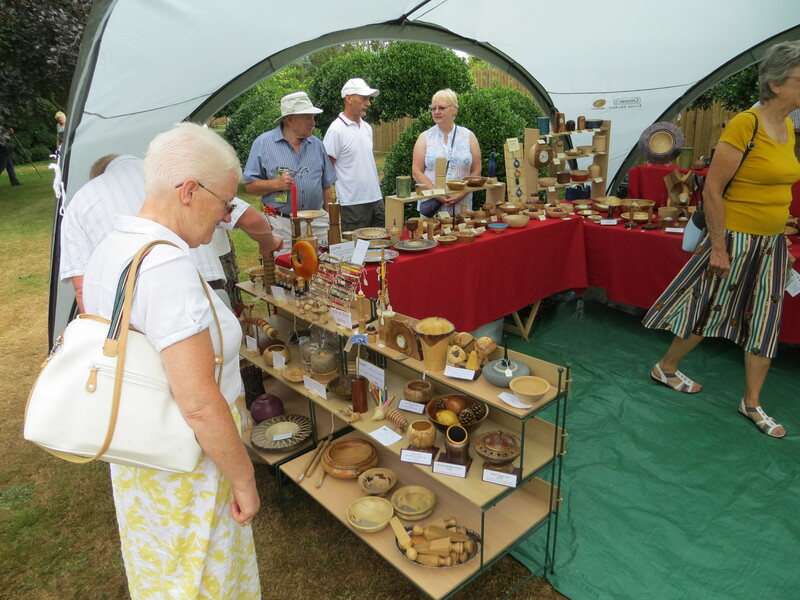 Once again Blackcountry woodturners were kindly invited to join John Massey at his summer “Open Garden” day at Ashwood Nurseries, an event for which the club has proudly supported for many years. For those that do not know this is the main event of several that “John” and his superb team at the nursery put on in support of the nurseries chosen charity, opening his magnificent award winning 3 acre private gardens to the public, this year’s chosen charity being “WINGS” Wombourne Special Needs Support Group. 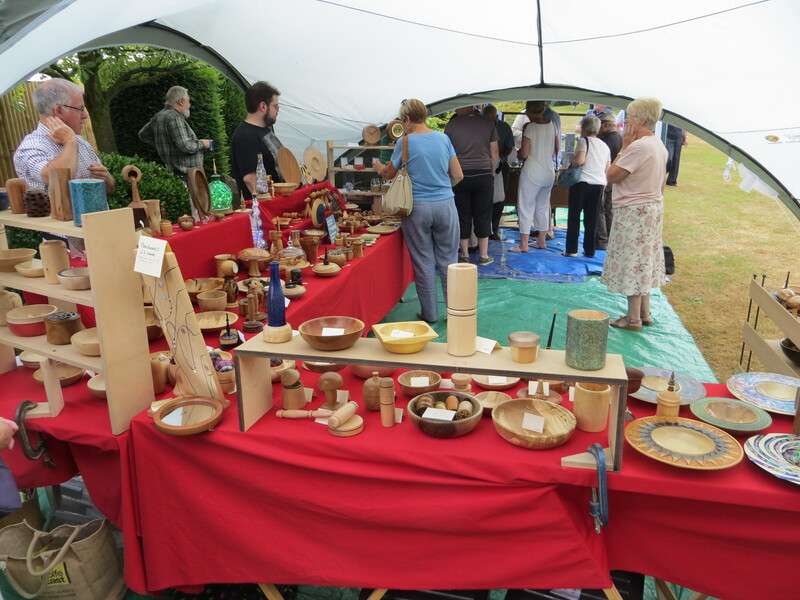 The day started off at 08:30hrs, with the gathering of members at the Nursery to help set up our event tents, main craft stall, charity table and lathe demonstration area. 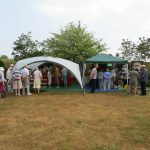 At 10:00 the event opened and by 10:15 the crowds were filtering thick and fast into the gardens, this remained the case right up to the end at 4pm. 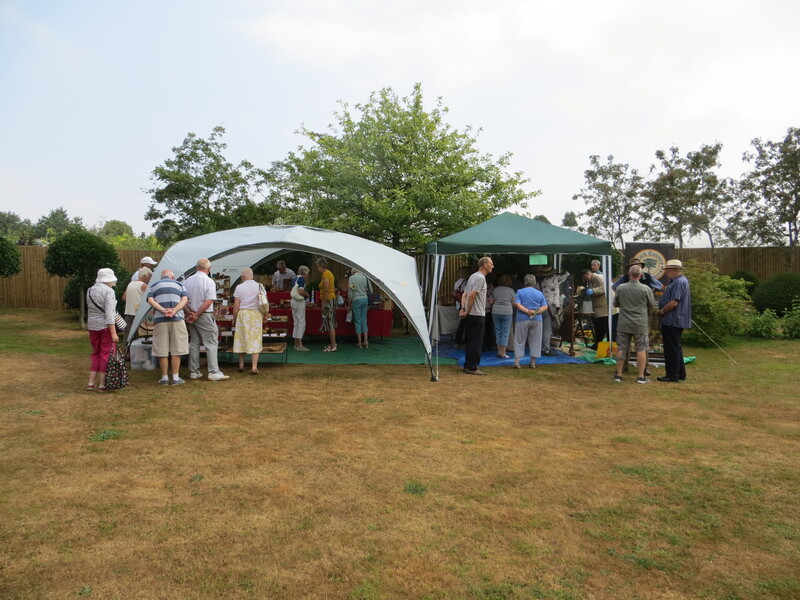 As the day wore on countless, visitors came to see us on the lawn, striking up many a good conversation and laughter throughout, several of these visitors over the years now becoming regular customers of our clubs crafts a testament to the consistent quality on show, sales both on the charity table and craft tables were brisk all day. 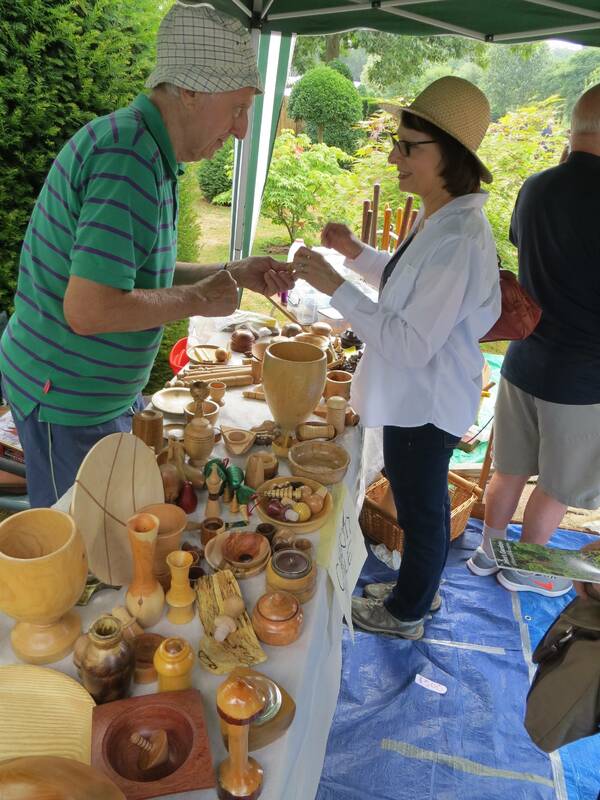 Throughout the day the public were entertained with various lathe demonstrations, one visitor asking Rob Hacket if he could make him a new handle for his garden trowel, which Rob duly did, he left the stall a very happy chappy …not Rob the visitor. There were also demos by Steve Hackett, Roger Cheshire, Paul Brown & Roger Sherwood -Howells. A very special thanks must go to Arthur Mills and the other guys who helped him throughout the day run the charity table their truly sterling efforts raising a fantastic £240.00, an amazing feat…well done everyone. The remaining £120.00 will be given to Blackcountry Woodturners nominated charity Mary Stevens Hospice in due course. On the event closure all the gear was packed away and all club members left the nursery hot and tired but having contributed to a really good day. 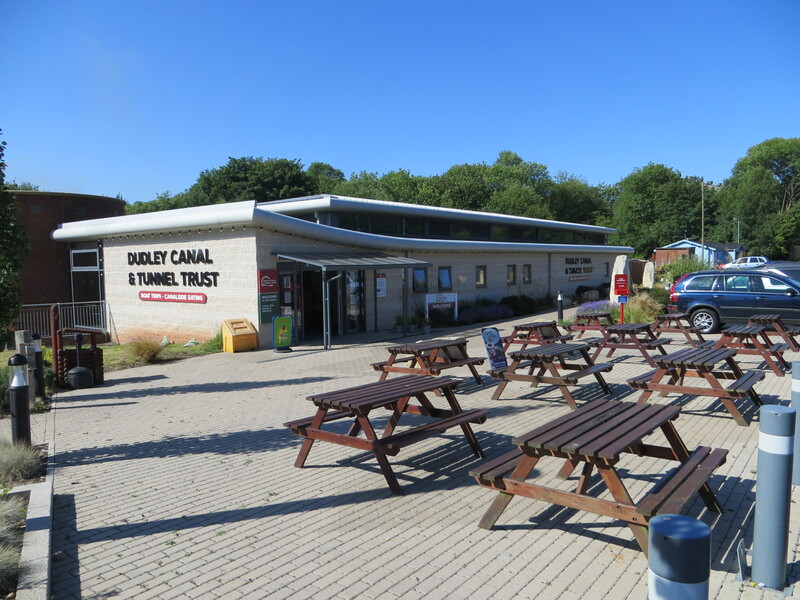 Dudley Canal and Tunnel Trust Summer Fayre Saturday 30th June 2018. 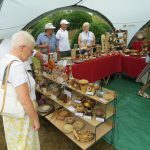 This was the first time the canal trust had held a summer fayre from this particular venue, and what a lovely place it is too, The Blackcountry Woodturning club were very happy to accept the invite to put on a stall and demonstrat e the art of woodturning throughout the day for the attending public. The day started off by arriving at the venue for 8.30am, we were greeted by Sarah the organiser who showed us our pitch in the main hall for the day. 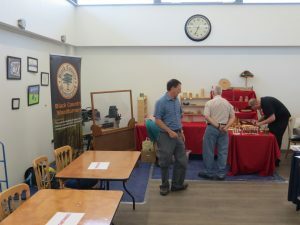 We had a great turnout of members early morning, with lots of good natured banter and laughter as we all got stuck in to unload the van , and set up our stall and lathe presentation area. 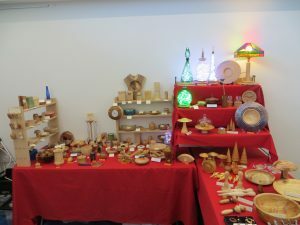 When complete the stall looked great with all our members work pr oudly displayed on show to the attending public, a great credit to the club which brought some very favourable comments from neighbouring craft presenters dotted around the hall. 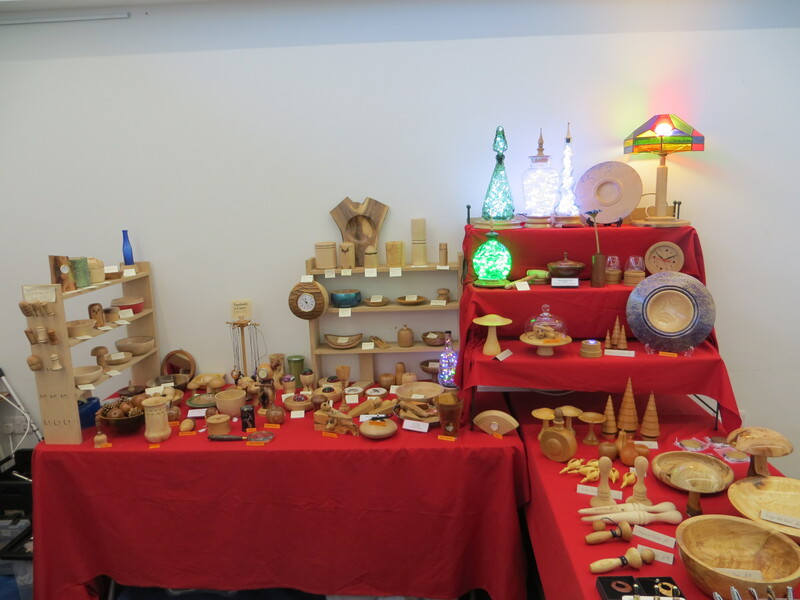 The public attendance started a little slow but picked up as the day went by, many interesting conversations were struck up with visitors who were genuinely interested in how we made such a variety of items. Thanks go to Mell Adams, Bob Mercer, Andrew DORE , Roger Cheshire and Paul Brown who all took turns on the lathe during the day to entertain the public, with Bob very kindly giving away his demonstration bowl to a visitor who watched him make the whole thing from start to finish. I’m sure the club made a few friends along the way, the event came to a close about 4.30pm, with us all having had a very enjoyable day. 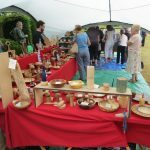 Cradley Arts Festival –Saturday 9th June 2018. 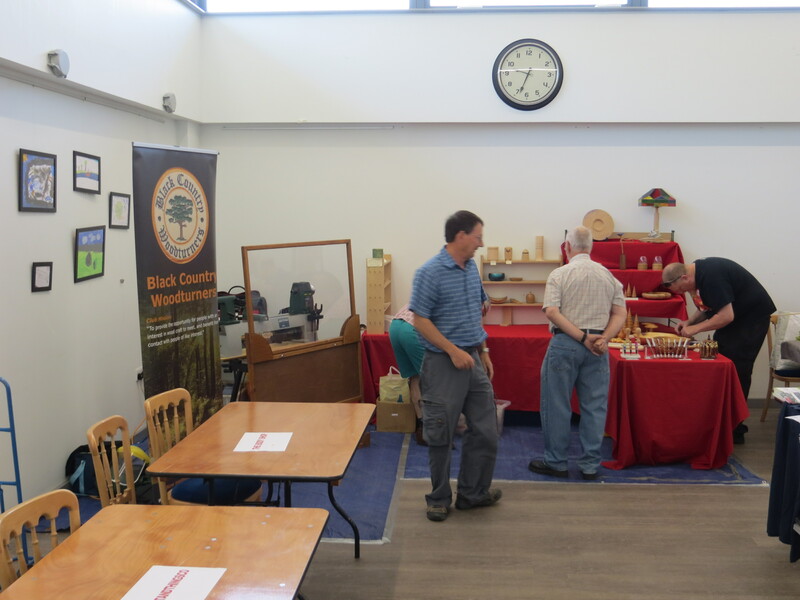 The Blackcountry woodturners club took part in the Cradley Heath Arts festival programme on Saturday 9th June 2018, this was the first visit by the club to the event, we along with Cradley Heath Model Railway club were located at the Cradley Heath Community Centre Reddal Hill Road. 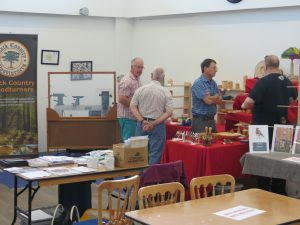 Visitors were few but those that came were very impressed with the craft work, purchased a few items and enjoyed watching members working on the lathe. The highlight of the day was the visit to the club by local conservative member of parliament Rt Hon James Morris who stayed for quite some time chatting to all involved and seemed genuinely interested in the history of the club wishing us well for the future…, he even had ago on the lathe skillfully instructed by club chairman Roger Cheshire. 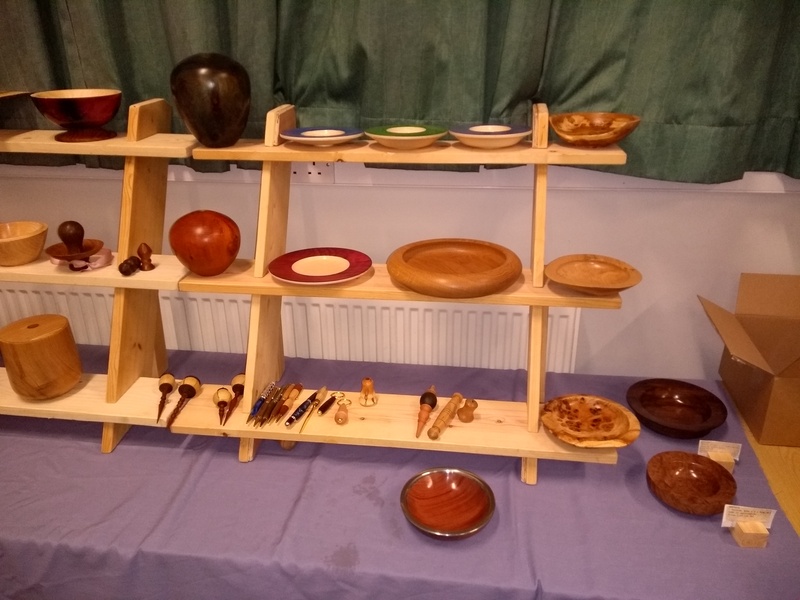 John’s evening consisted of detailed examination, super explanation, fine tool control and tuition surrounding project enhancement, by inclusion of thread chasing, and forming various “finishing finials” made in, wood, Pewter, Deer Antler and Imitation Ivory to enrich the final project. John explained that these techniques and materials could be considered for any type of project, but to give early thought to the design and how the inclusions would be used to enhance the piece and not just doing for doings sake…..good advice..
John based his whole demonstration around the making on one of his signature projects a decorative three pi ece needle box, utilising all the stated techniques. 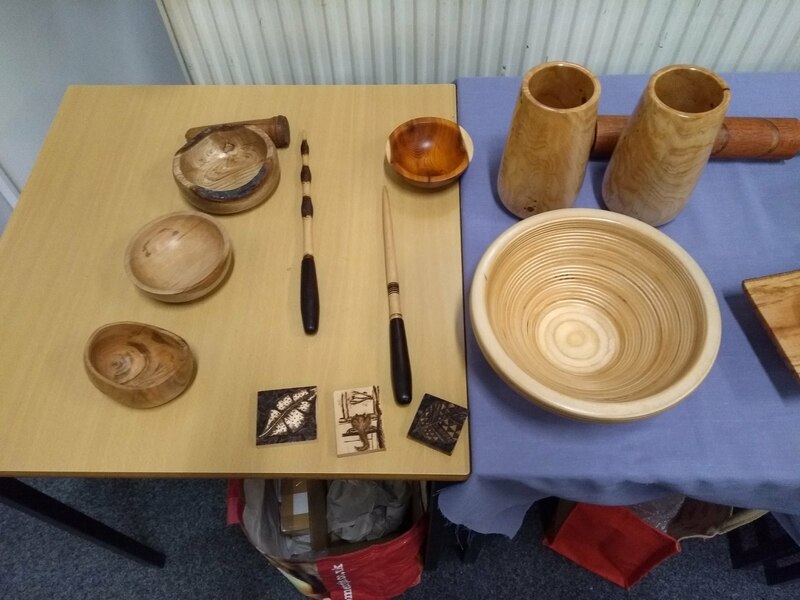 John went to great lengths to demonstrate and educate us about the art of thread chasing and showed his skill of thread chasing in both wood and pewter. 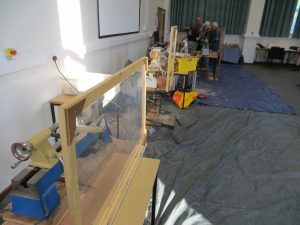 For the final part of his demonstration john spoke about “Sharp Cutting edges” and showed to the audience his method of taking a sharp edge to a razor sharp edge by using a simple grind wheel modified to run in backwards by reversing the guard plates, then replacing the stone grind wheels with a sisal and brushed cotton wheels turning the equipment into a highly efficient edge polishing machine. John’s character, humour and sheer enjoyment of demonstrating his skills was evident to all in attendance making a truly enjoyable experience for all. 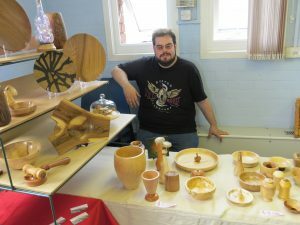 We hope we can persuade him to return next year to educate us more in the arts of woodturning. Club member Wolfgang Schulze-Zachau was our demonstrator for the April meeting. 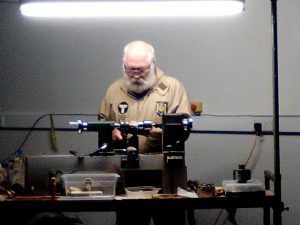 His demonstration was based around deep hollow forms. Wolfgang started the evening talking about the pros and cons of working with dry or green wood. 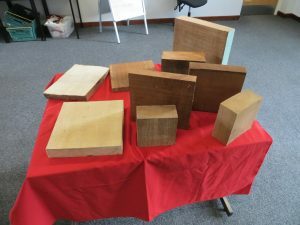 He had brought a number of blanks with him and asked his audience which blank he should use for his demonstration. 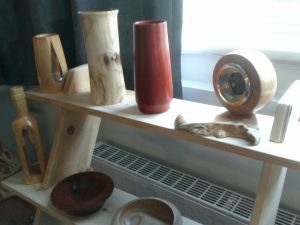 He gave incisive and thoughtful advise on how to deal with green wood turning, which he said was his preferred type of wood to work with. 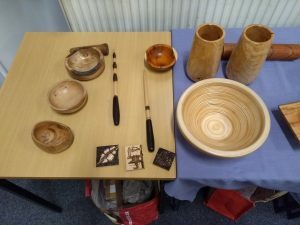 He answered several questions from club members relating to green wood turning. 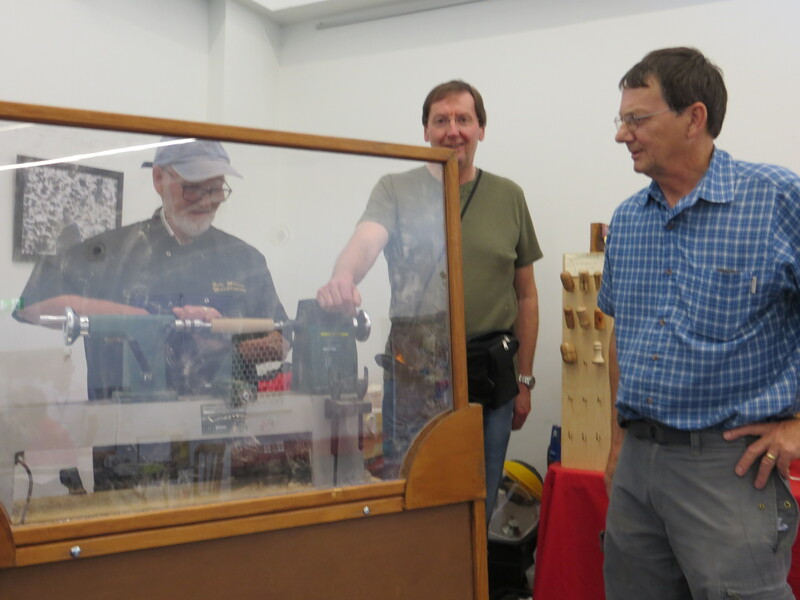 Wolfgang passed around a number of his very large deep hollowing tools and answered questions on how and when to use the different tools. 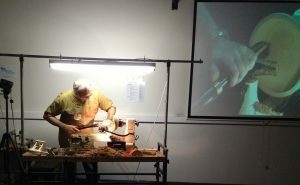 He said that during his demonstration the method he would be showing us was the way he did things, and not specifically the way someone else might approach the same task. 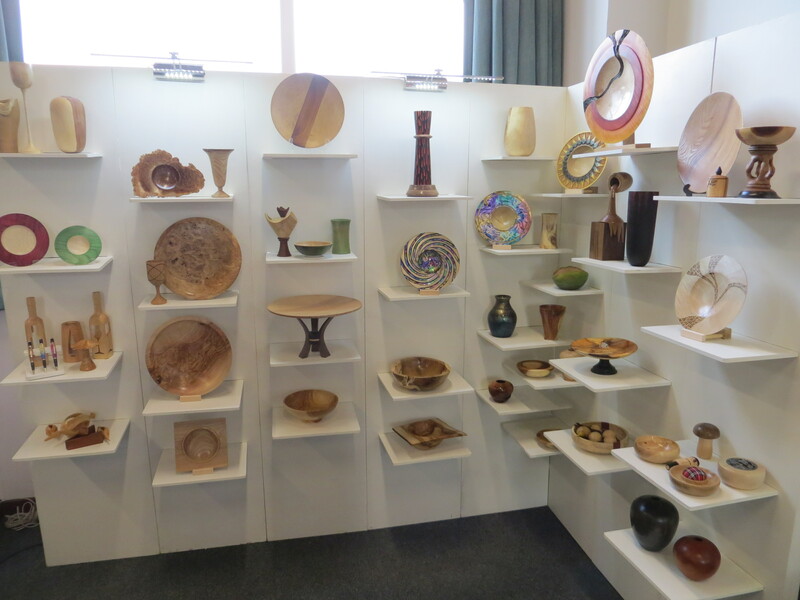 Wolfgang chucked up the blank and set about shaping the outside of the form. 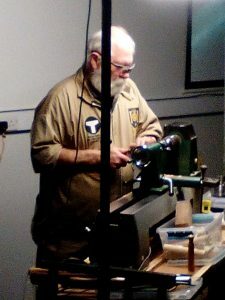 He kept up a continuous commentary of everything he was doing, from the height of the tool rest to the different types of cuts he was using and which part of the tool he was using as well as the best angle of approach. This was ideal for some of the novice members in the audience but it was also helpful and thought provoking for the more experienced turners as well. Wolfgang then discussed the merits of different drill bits to make a start with hollowing. As it turned out he decided to start with a spindle gouge. 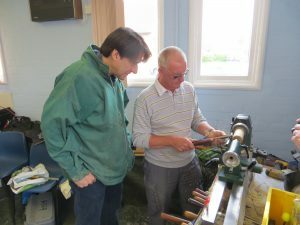 He had a couple of issues with the club lathe and chuck both of which needed additional tightening up. But then he very quickly got on with the main event of hollowing out the form. This was when the necessity for the extra long handle became apparent. 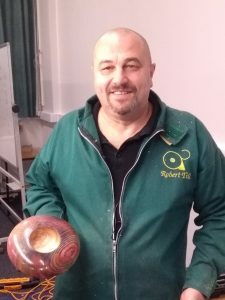 With the handle tucked under his arm Wolfgang showed club members the safe way to approach the opening and how to hollow out the bowl, slow and steady. He said you needed to develop a feel for the tool as it cut inside the form and the only way to do that was lots and lots of practice. 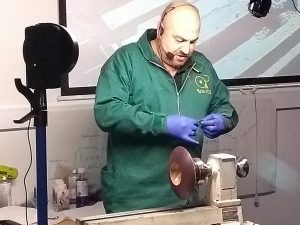 He said that having a good light source was also essential to enable you to see inside the hole you were hollowing and recommended using a headset incorporating magnification and a light source. Wolfgang gave a running commentary throughout the whole demonstration and answered a number of questions on the use of specific hollowing tools as well as the negative-rake scraper he used to clean up the inside of the bowl. He gave tips and advise on the thickness of the base of the bowl, thick enough to support the piece when it was re-mounted on the lathe but not so thick as to impede the drying process and risk cracks forming. All in all a thoroughly entertaining and informative evening was had by all. Thank you Wolfgang. 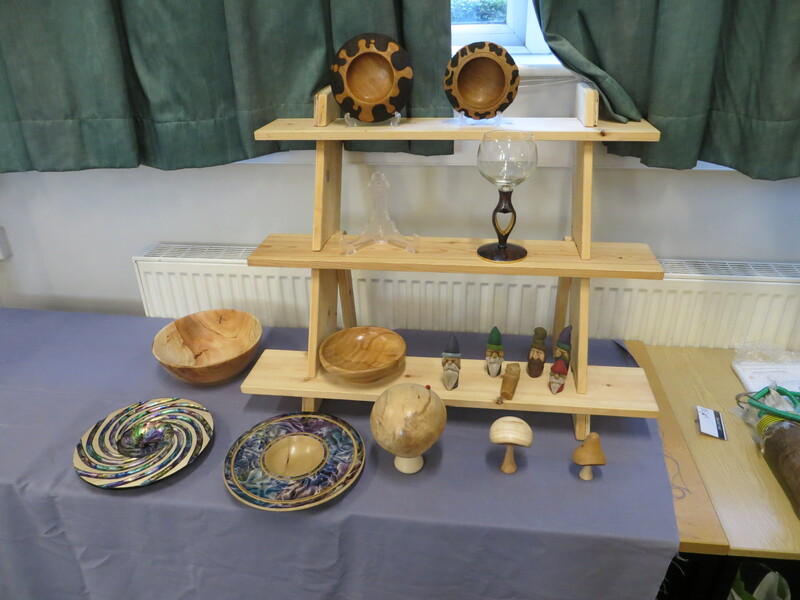 Our February meeting was a demonstration by Paul Hannaby, who was recently appointed chairman of the AWGB. He has demonstrated at the club before, a goblet with a barley twist stem, if memory serves. This time around his focus was on bowl turning. We held the demo meeting in the room adjoining our normal meeting room, for a number of reasons. 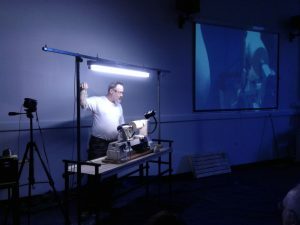 For one, it offers a big overhead screen which we could connect to our camera, and thus provide a much improved view for the audience. And I am pleased to report that we had a very full turnout of members. Another reason is that the layout of our normal meeting room is much better suited for hands-on days than demonstrations, since it has a massive staircase right in the middle of the room. For his first bowl, Paul chose a piece of mahogany of about 8″ diameter. This was mounted onto a screw chuck. 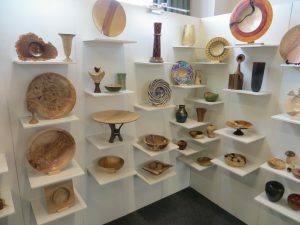 This mounting method, which works fine for bowls up to about 10″ diameter, has the advantage of giving unfettered access to the bottom of the bowl, so that a nice foot can be formed with push cuts, which leave a much better surface than pull cuts. Paul talked extensively about his choice of bowl gouges, which are in essence all standard grind, i.e. very little wing. 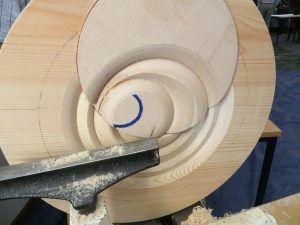 For the finishing cuts he used a particularly heavy bowl gouge, showing us that the weight reduced any bouncing dramatically and the long inside curve creates such a nice slicing action that the finish turned bowl hardly needed any sanding at all. He also demonstrated how to use a stick of hot-melt glue to check the surface for any bumps. His second bowl was to be a natural edge piece. 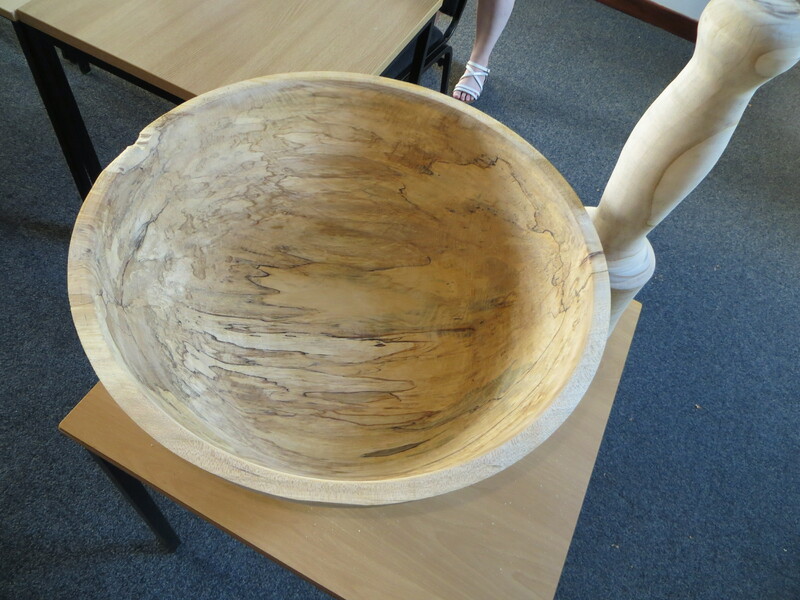 The approach is pretty much the same: start on the screw chuck, finish turn the outside (and sand and decorate if desired/required), then turn around and form the inside of the bowl. Obviously the challenge with a natural edge bowl is always to get the first one or two inches of the cut done without losing the bark or any other accidents. A steady hand and a good eye for the ghosted edge of the workpiece is required for this. A very pleasant surprise of the evening was the table showing the work members had brought in. A wide variety of items and, it must be said, all of good standard. Clearly our members are feeling fired up to get into their workshops and make things. Excellent all around. Here are some images.